Scan Courtesy of David Brown. For sentimental reasons, an American descendant of the Nanneys of Nannau, the renowned Merionethshire family, will give an organ recital in a little church in the hills on Sunday. 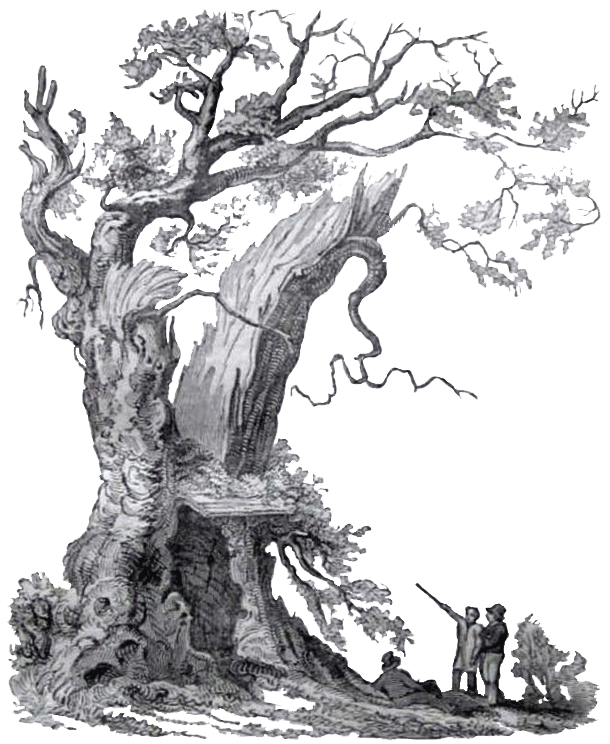 Determined to see Nannau, the one-time family seat, near Dolgellau, he got in touch with Brigadier C.H.V. Vauglian, who does not now live in the mansion. The brigadier. who is a member of the distinguished family, arranged for the professor to visit the house and afterwards invited him to Maesybryner, where he and his wife — the Hon. Mrs Mary Vaughan – live. During the course of the conversation, the Hon. Mrs Vaughan spoke of the efforts being made to clear £1,000 outstanding in respect of repairs and other work carried out at St. Machreth’s Church, Llanfachreth. of Colonel Hugh Nanney, who once held the post of Vice Admiral of Wales. 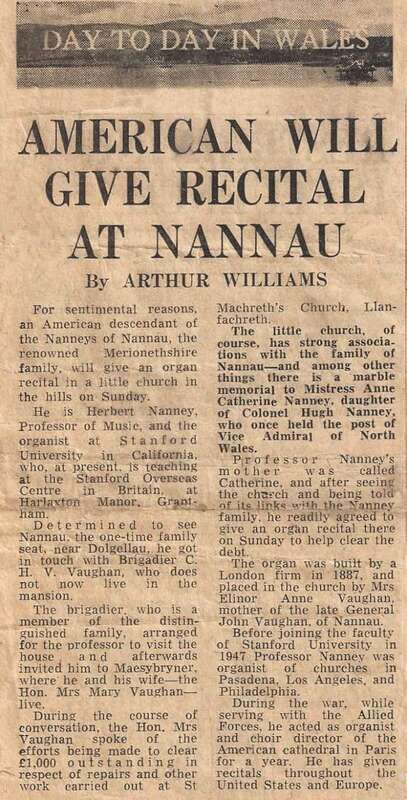 Professor Nanney’s mother was called Catherine and after seeing the church and being told of it’s links with the Nanney family, he readily agreed to give an organ recital there on Sunday to help clear the debt. The organ was built by a London firm in 1887, and placed in the church by Mrs Elinor Anne Vaughan, mother of the late General John Vaughan, of Nannau. Before joining the faculty of Stanford University in 1947 Professor Nanney was organist of churches in Pasadena, Los Angeles, and Philadelphia. During the war, while serving with the Allied Forces, he acted as organist and choir director of the American cathedral in Paris for a year, He has given recitals throughout the United States and Europe.